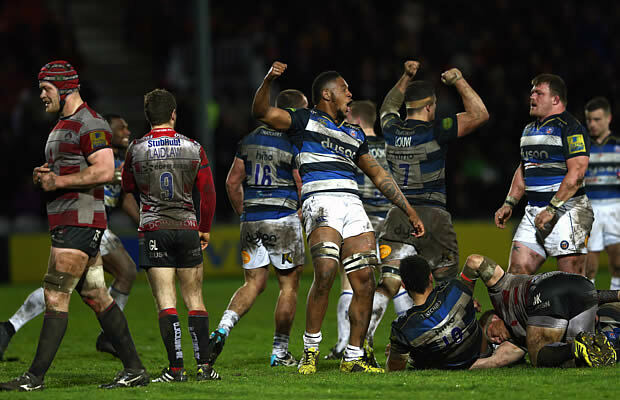 Bath edged their West country rivals Gloucester 12-17 to earn their seventh victory of the Aviva Premiership season. Bath outscored Gloucester by three tries to none in the match as the cherry and whites had to rely on Greg Laidlaw’s boot. Bath became the first team in Premiership history to win at Kingsholm three years in a row, sealing a key victory against the Cherry and Whites. Semesi Rokoduguni scored a try for Bath, as did Levi Douglas, after Chris Cook had opened the scoring early in the first-half. Four kicks from four attempts for Greig Laidlaw ensured Gloucester came away from the game with a losing bonus point, as they maintain their chase for a top-six finish. Having returned from Six Nations duty, Laidlaw slotted two early penalties to give home side a 6-0 lead in the opening ten minutes. Moments later, an excellent break from Henry Thomas saw him beat several Gloucester tackles, before finding Cook to finish the move under the posts, allowed Ford to easily add the extras from the tee. 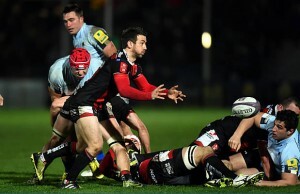 Laidlaw gave his side the lead once more on 17 minutes, before Ford missed a penalty with the final kick of the half in windy conditions, meaning Gloucester held on to their half time lead. 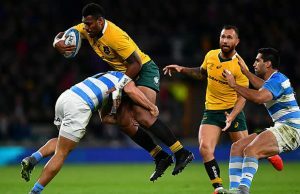 After the break, Fijian-born wing Rokoduguni dived in to the corner to give Bath the lead once more, after a long, sweeping pass from Ford found him on the right wing, but the fly-half missed from the tee. Despite a poor kicking display from Ford, he restored his side’s lead by slotting his second from four attempts, with less than 10 minutes remaining. After a failed line out on 75 minutes, the resulting Bath lineout allowed Douglas to cross. His try was not converted, so the final score remained at 17-12. Referee : Wayne Barnes (166th Premiership game). Assistant Referees: Gareth Copsey & Andrew Pearce.